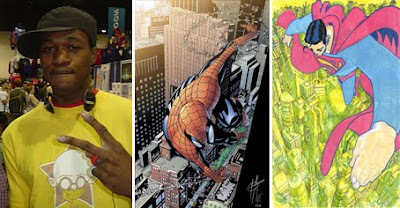 Many artists make a career out of melding the artistic influences of both western and eastern illustration styles, but Jamaican born Damion Scott goes one further, bridging the gap with his goal of bringing Hip-Hop to comics, drawing upon the graffiti skills of the musical cultures own style of pop art. 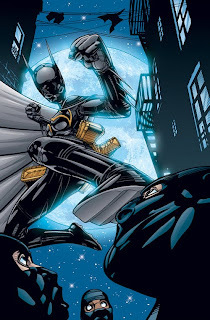 A graduate of the Joe Kubert School, his kinetic action scenes and stylised figure anatomy helped turn the Cassandra Cain Batgirl series into a fan favourite, before moving onto other youthful heroes, like Robin and Marvel's Spider-Man. 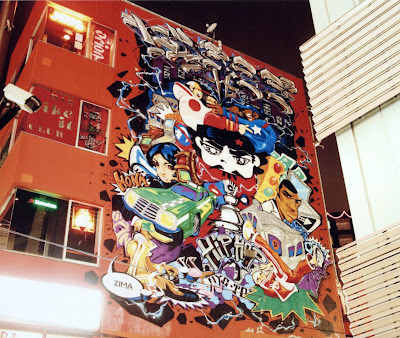 Now after publishing a book entitled: How To Draw Hip-Hop, the American comic book artist has taken to living in Japan, where he is building a strong reputation on the local arts scene with a studio in Tokyo, while absorbing the countries own manga-styled influences.